All posts written by the markskrill team, located in one place. Creating products for leisure or for a business has never been easier. Whether it’s for entrepreneurs, customers or businesses creating products has never been easier. Screen printing and embroidery has become super main stream these days with print on demand companies on the rise. And technology making it easier for D.I.Y projects being created, an example is our very own designer tool. Where customers can create and purchase products in their own time. Upon completion the data is sent straight to the printing company ready to be printed. Print on demand is exactly as described above, consumers place orders for custom products which are to be printed as soon or as near as the order is placed. And our industry, like many others. Our business creates print on demand products and supplies them from various locations around the world, mostly USA, UK & China. Some of these products can be unique in structure such as the drawstring bag, adjustable socket or color changing mug. Why not take advantage of our program and promote our products online. In this article we’re going to teach you how to promote our products and how much you’ll get paid. Share your links on social media, in your bio. On your timeline and anywhere you can share your link, without spamming people. Within your dashboard you can share your link directly to your social media accounts. Share our giveaways, get people to signup for an account, doing this will give them an entry into the upcoming draw which is typically shared on social media. Also enabling us to track the prospect by their name and email, allowing you to get rewarded when they purchase in the future. We’ll email you about what products will be featured in the giveaway, they typically run for 2 weeks giving you enough time to promote it to your following. When sharing on social media also add an image, you can get images from this website, markskrill.com or social media. you’ll find that your links will get more clicks when you display an image also. We pay 10% of every sale plus rewards for link clicks and signups. Cash out via PayPal or Stripe, min withdrawal $25. Create custom links to drive traffic to product pages, you’re more likely to convert a prospect by sending them to a product page rather than the homepage. Blogging is a great source of income once you have a decent following and products to sell to those followers. In this article we’re going to talk about how to start a blog and monetise it. 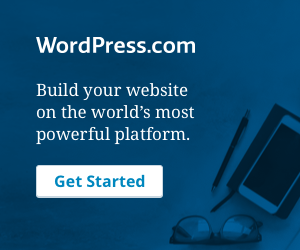 Setup your free blogging site at WordPress, choose a theme and add content to your blog. Create your content based on your interests and what you’ll be blogging about, for example “fashion”, “sport”, “news” etc. Create your first pages and blog posts, your pages contain permanent fixed content such as “contact us” & “about us” and posts contain your temporary content such as “hottest new products by markskrill” or “new articles”. Build a following, share your posts on social media & get people to subscribe to your blog so that you can engage and sell to them! Find a product to sell or upgrade your site. We suggest joining our network and promoting our products on your blog for free! Upgrade your site to premium to activate ads.